The Southern Theatre's doors closed in 1979, and it just about became a parking garage-- just what the city needs. But after a $10 million renovation, it reopened again in 1998. 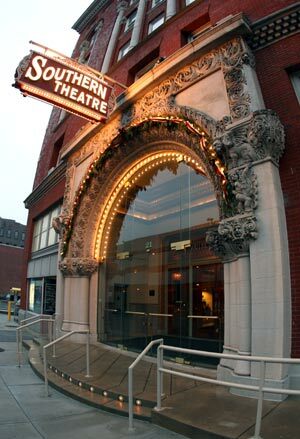 Now owned and operated by the Columbus Association for the Performing Arts (CAPA), the Southern Theatre hosts comedy and classical, contemporary, jazz and other musical performances on a regular schedule. 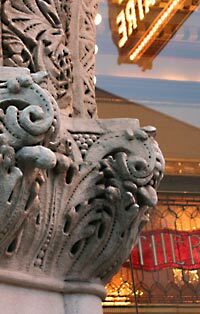 The Southern Theatre is part of what is affectionately referred to as theatre row-- a few blocks of downtown Columbus that has some of the finest, classical theatres in the country as well as one of the most contemporary. improvement over the other theatres in town at the time which had been built of wood and brick and had all burned down within 4 years of each other in the late 1800s. Many of the other Columbus theatres further north of the Southern's location were originally built through the investment of wealthy businessmen. These buildings were often completed with in a year or two from the time construction began. The Southern however, was built through the investment of 100s of citizens who provided the necessary funds to build the original theatre. Because of the large number of investors, the many day-to-day decisions necessary for such an undertaking became painfully slow and the construction took over 4 years. At the time it was built, the theatre was acclaimed for its fine acoustics and unique lighting system that was powered by electricity that it produced itself. In fact, the Southern Theatre was the first commercial building in the city to have electricity, a fact that visitors will note by the abundance of electric lights found throughout the building. Even the renovation of the theatre scrupulously tried to preserve the ambience created by those first Edison-style light bulbs that have been faithfully reproduced. 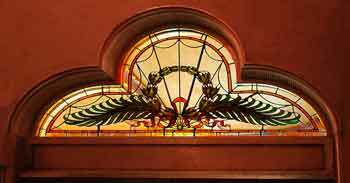 The stain glass in the main entry was originally created by Franklin Art and Glass located in German Village. During the renovation, the same company was able to remove the same glass they had installed in 1896 and faithfully restore the ornate glass to its original character. When the theatre first opened, entertainers and musicians that were in town for the show, booked their rooms in the attached hotel and those rooms were used as dressing rooms. However, when the renovation was made, that connection with the hotel was severed so the theatre was in need of new dressing rooms. 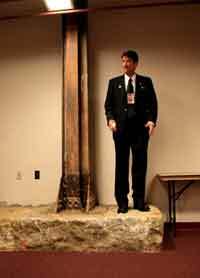 Original basement floor level and I-beam support column. To fit in the new dressing rooms during the major renovation of the theatre, architects and engineers actually lowered the the basement floor level directly underneath the main seating area. Lowering the floor gave enough headroom in the basement to accommodate new dressing rooms. 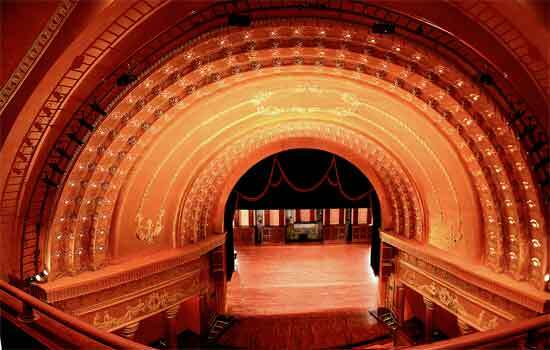 The Great Southern Theatre was proclaimed the most beautiful theatre in the state and, in actuality, there were few theatres in the entire country which could surpass its beauty or design. 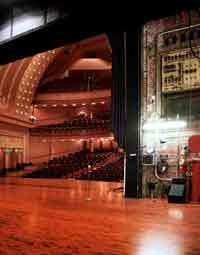 Its acoustics have been compared to those of Carnegie Hall. In fact, the acoustics of the theatre make it truly unique and that's important because most of the programming for the theatre is music. The Theatre was added to the National Register of Historic Places in 1982. The Great Southern Hotel opened in 1897, and was greatly admired. Lavish accounts of its splendor filled the newspapers. It was, indeed, the finest hotel in the city, offering 250 rooms, with 50 having their own private baths. Today the hotel has been restored and updated. 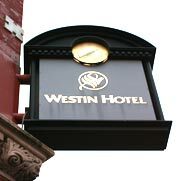 The Westin Great Southern hotel offers 186 luxurious guest rooms, 23 spacious suites, including the impressive Thurber Suite. The hotel is directly attached to the Southern Theatre so you can wine and dine, watch a show, and sleep all under the same roof.